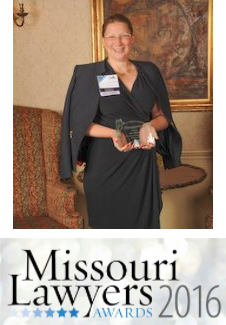 Missouri Lawyers Media presented Ms. Mira Mdivani with the 2016 Mentor of the Year Award. The Missouri Lawyers Awards honor lawyers, judges and law firms selected for their outstanding accomplishments throughout the year. Over 250 members of the legal community join to recognize the year’s winningest trial and appellate lawyers, law firm innovators and more.